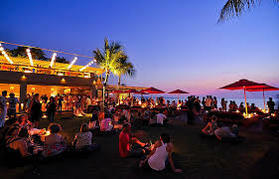 Bali is a food lover’s paradise with cuisine from all over the world in plentiful supply and of course the amazing tastes and flavors of food from all over the Archipelago of Indonesia to try also. 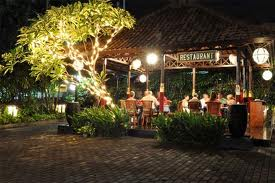 With so many restaurants all throughout Bali it can often be difficult to decide where to eat for numerous reasons; is the venue clean and hygienic; is the price what you wish to spend; is the venue nice; does the venue have the atmosphere you are looking for and most importantly is the food good quality full of taste and flavor! We hope to guide you on all of those things by listing our favorite places in Bali from budget conscious to lavish luxury dining. 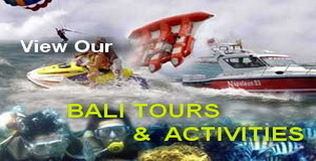 Below you will find our favorite places categorized by the area. None of these places have paid us to appear on this site these are our recommendations based on local experience. We have categorized the "Price" section based on the average cost of 1 main meal and 1 basic beverage. 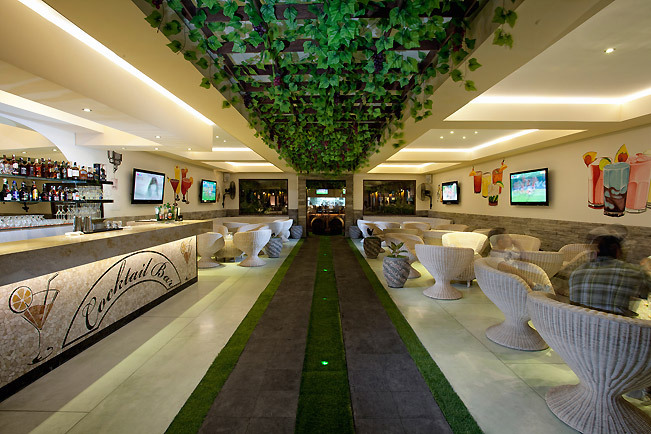 This Italian restaurant is just near the Kuta beachfront designed in a smart modern look with a relaxed and comfortable atmosphere. The Italian and Western menu offers a good range of choices and the food is all prepared to a very good standard with great flavors. 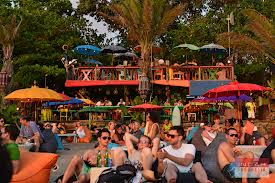 Situated right across from Kuta beach this restaurant & bar is great for lunch or dinner or even simply enjoying a few drinks while listening to the live music. If you like your tequila this bar is a must with numerous variety’s well priced and sure to get your night started. Stylish Italian restaurant with pergolas of grape vines casual espresso & cocktail bar at the front and a separate beautiful designed dining area, to the rear. Live music every night and a magician performance for the kids. Great wine selection also to combine with the Italian cuisine. 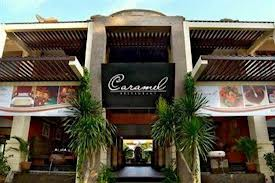 A basic restaurant in the heat of Kuta serving international food open all day and all night with great flavours prepared by an experienced Indonesian chef who has worked in Australia. In a tranquil and romantic setting with cabana/bale, gardens, amidst charming ponds of delicate lotuses, completed with fish and turtles. Emphasizing on flavours and ingredients, using the best of fresh local and imported products to create delicious and stunning dishes. Open daily for Lunch and Dinner. 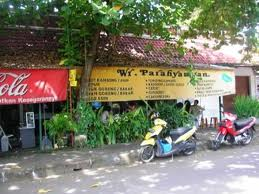 A basic clean and hygienic warung in Kuta a little out of the way but worth it if you are in the area to enjoy the true taste of Indonesian food that you do not get in a big restaurant. Kunyit specializes in authentic Balinese cuisine flavours, delicacies such as fried crispy duck and succulent sticks of satay. 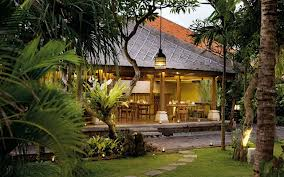 The restaurant is traditional style within a beautiful garden compound. 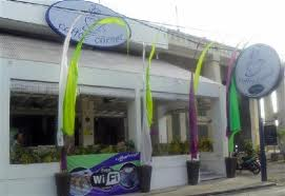 Modern stylish bamboo interior near Waterbom Park serving simple and fresh food includes fish, Australian beef, live mud crabs and lobster plus much more. Great cocktails, live music and sports on TV. 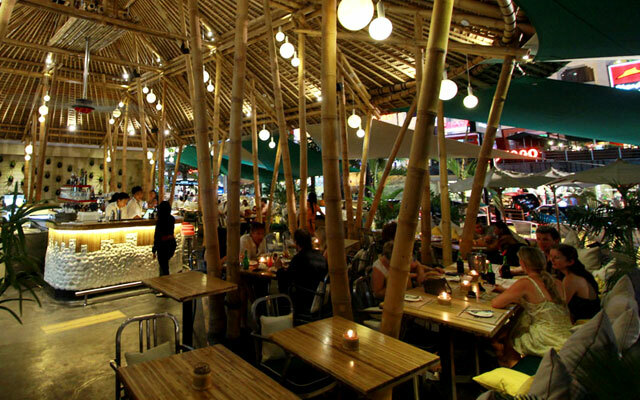 Mozzarella is a great Italian restaurant with a chic modern design with Balinese influences. The staff are attentive, the meals are a good size and meals have great authentic Italian flavours at a reasonable price. Great Thai food made with the freshest ingredients using hand blended spices and curry pastes. 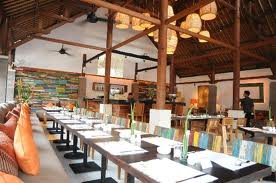 The restaurant is modern with traditional Balinese influences and a warm and relaxed feel. Combining Australian, Balinese and European flavour within the food and on the menu the restaurant offers fresh and health dining options with great coffee and juice to be enjoyed with your meal. 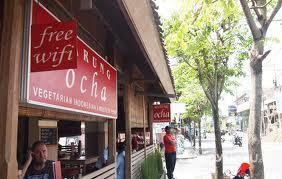 One of the few remaining places in Legian to get real Indonesian food for a very cheap price. The restaurant is small and basic yet clean and hygienic with great flavours. Best for lunch as all menu options not available late at night. 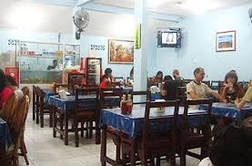 We recommend the Nasi Champur only 20’000 or approx $2. With a great beachfront location the staff are friendly and the food is great quality. True Italian flavours and also western and Asian foods appear on the menu giving great amount of options to dine and enjoy with beach views. Great food quality and service from this ideal restaurant to enjoy the views out over the ocean. The second floor is the perfect place to take in a sunset over the ocean. With great location, excellent service and brilliant food this is worth a visit during your holiday. Coffee Corner is a modern coffee house offering a great range of simple options for breakfast, lunch and dinner. 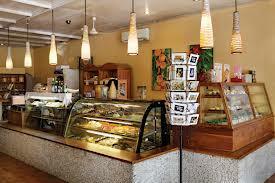 The coffee is good quality and their range of cakes is delightfully tasty. Great spot for a caffeine fix! Serving international Mediterranean and seafood with exellent flavour and great beach side views. 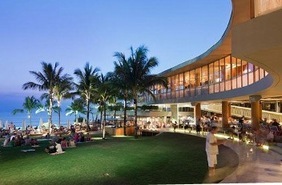 The restaurant offer indoor and outdoor dining options to allow you to enjoy the fresh sea breeze. Good quality Indonesian and Australian favourites as well as a selection of dishes from around the world. The burgers here are well worth a try the beer is always icy cold and cocktail specials well priced, live music also from 7 pm till late. 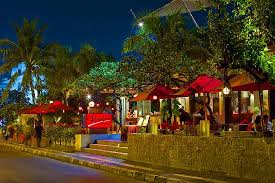 Legian / Seminyak - These restaurants are on or very close to Jalan Arjuna (Double Six) the official Legian / Seminyak border. 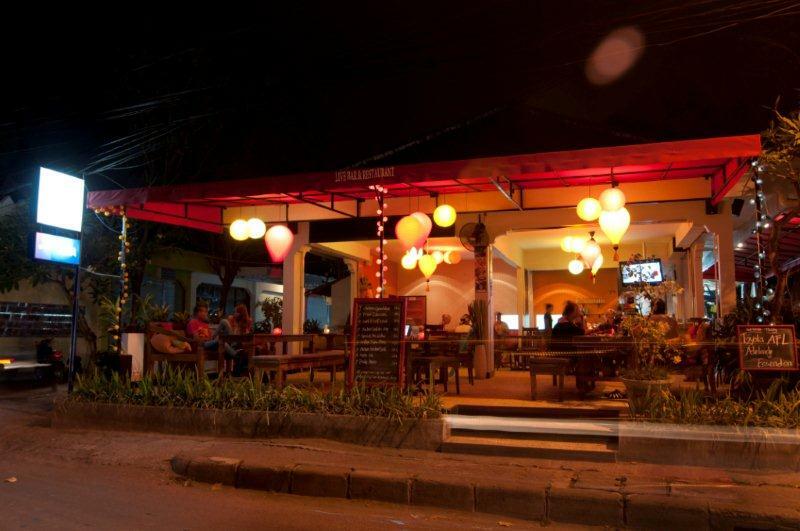 Rated as one of the best restaurants in Legian and the whole of Bali this delightful French restaurant offers great quality food in a relaxing contemporary setting. 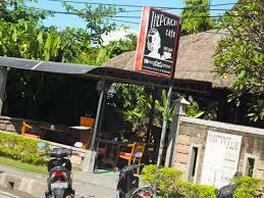 Recommended to enjoy a meal here during your stay in Bali. Book ahead to reserve a table and not miss out. 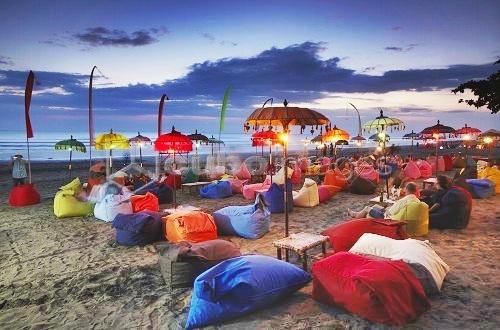 La Plancha has a relaxed vibe right on the beach with funky coloured bean bags to lie back in and take in the beach or sunset views. The food is ideal for a light meal or snacks with a few drinks. There is also live music playing depending on the day. Great chill spot to enjoy! Camplung has a relaxed vibe right on the beach with funky coloured bean bags to lie back in and take in the beach or sunset views. The food is ideal for a light meal or snacks with a few drinks. There is also live music playing depending on the day. Great chill spot to enjoy! 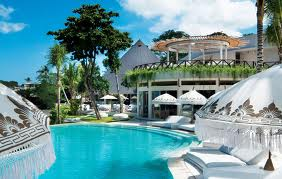 Luxury beachfront restaurant that has DJ performances and a nightclub atmosphere later in the evening to night. The food quality is of a very high standard with indoor outdoor dining options; guests are even allowed to take a swim in the pool while at this venue. 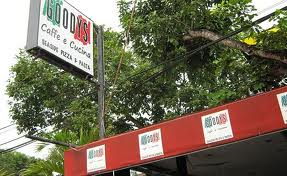 Goodys has great food at a great price set in a relaxed comfortable atmosphere looking out to the beach. 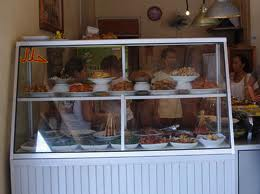 The pizza here is recommended for only 60.000 The restaurant prepares Italian food including Seafood, Pizza and Pasta. 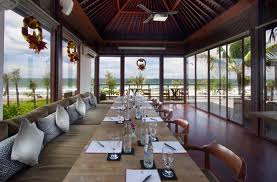 A beachfront located restaurant which has return guests due to the high quality of food and great service it offers. Brilliant views out over the ocean and to watch sunset. 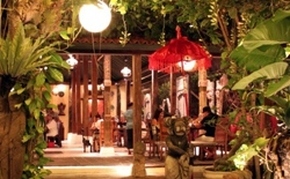 Set in a lush tropical garden with Balinese statues and water fall the restaurant has indoor and outdoor dining options. The food is international and the signature dish is the Pork spare ribs. Good restaurant with a reasonable price for the quality. This casual restaurant is also a sports bar open for breakfast, lunch and dinner. Located on the corner of Jalan Arjuna with good food at a good price it is an ideal location to enjoy a well-priced meal and or drinks and watching your favourite sports. 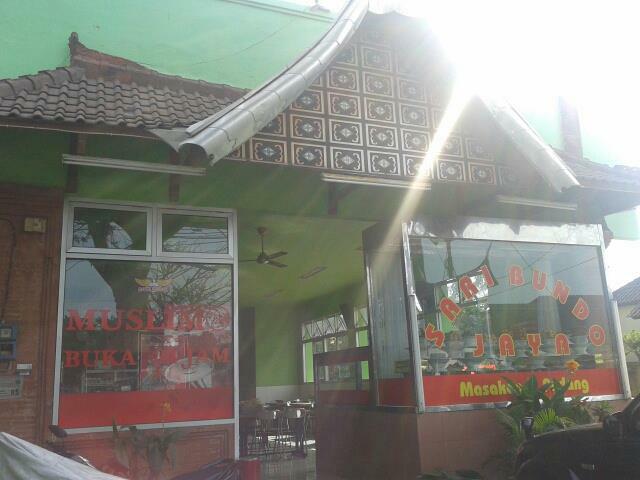 A basic clean and hygienic warung that serves good quality Indonesian food enjoyed by locals and holidaymaker alike. Enjoy the true taste of Indonesian food that you do not get in a big restaurant where the Indonesian is westernised. Beautiful atmosphere for enjoying the sunset and a beach view. The restaurants design and architecture combined with a top location and great food make it worth the higher price. 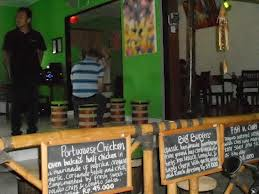 The restaurant also plays relaxing house music to add to the mood and has DJ's on selected nights. 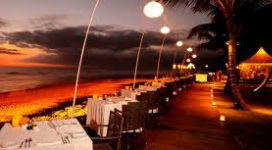 Set on the beachfront this is a high class restaurant with great quality food well worth the price. 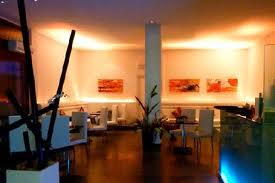 This is a great place with a casual yet sophisticated atmosphere that all in all has been brought together very well. 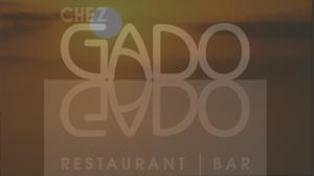 KU DE TA also puts on a number of great concerts and always has ambient house music playing through the restaurant. 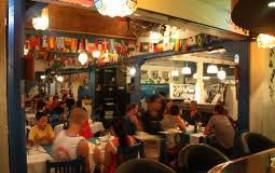 Authentic Greek cuisine, attentive staff and it's cosy Mediterranean decor. With a wide variety of choices including quality dishes such as a classic Greek salad to a delightful pita-bread with Gyros or Shoarma stuffing. Set on the beach the restaurant presents a modern contemporary environment where you can relax and enjoy your meal as the sun goes down over the ocean. Great quality food in an ambient atmosphere. This restaurant offers Italian and international cuisine. The food is created from the freshest ingredients and there is live music playing Tuesday to Friday. 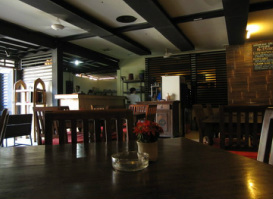 There is a lively atmosphere within this restaurant with a comfortable and relaxed feel. This restaurant offers international cuisine with great flavours of home cooking. From Monday to Saturday the restaurant has a DJ playing funky tunes so as you can enjoy music, food and even a game of pool all in 1 place. 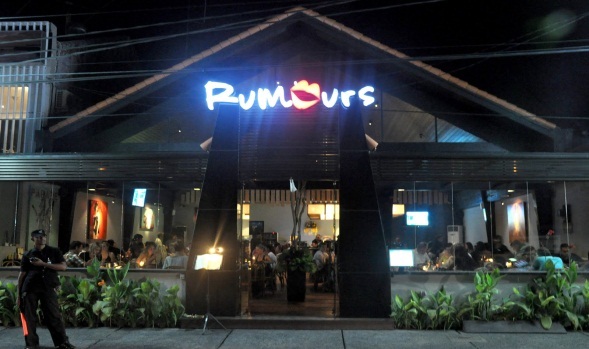 Rumors usually makes for good night out or the start to a late night. This is a charming French café with great pastry’s and fresh breads. 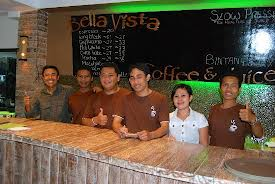 The coffee is also good quality and the staff give attentive pleasant service. Serving breakfast lunch and dinner. 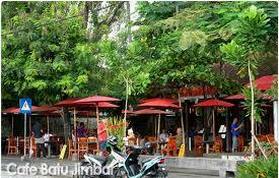 An Indonesian restaurant with traditional taste and flavours also offering a selection of western options all at good prices with good service also. 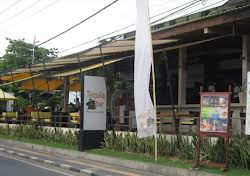 Ideal for a casual lunch in between shopping on Jalan Seminyak. The Queens Tandoor is a modern chic Indonesian architecturally styled restaurant with the traditional flavour of India, This restaurant chain has several outlets all over the world and is successful with their great service and high quality of food. Ideal place to stop for a good quality coffee and try the cakes baked fresh at the location. 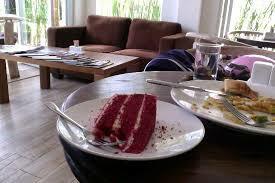 The red velvet cake is recommended to go with your coffee or a nice fresh juice. 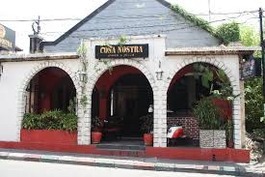 Cosa Nostra is a popular restaurant offering good Italian and Spanish food with a great price. The pizza is one of their specialties and worth a try. The restaurant provides a cosy relaxed atmosphere. 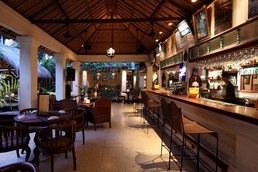 This restaurant is in a beautiful location right in the beachfront of Seminyak. The service is usually of great quality with excellent flavours cooked to perfection. 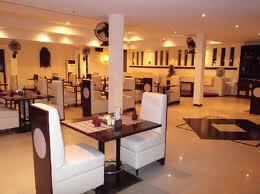 This restaurant is highly recommended with good price for the overall quality. 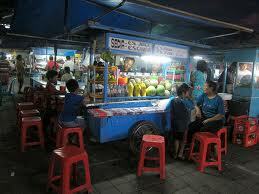 A basic presented Indonesian warung selling traditional Indonesian foods. The location is within exclusive Jalan Laksmana so the restaurant is a brilliant cheap option rubbing shoulders with high class. 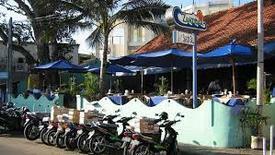 Great beachfront location serving Western and Indonesian favourites. 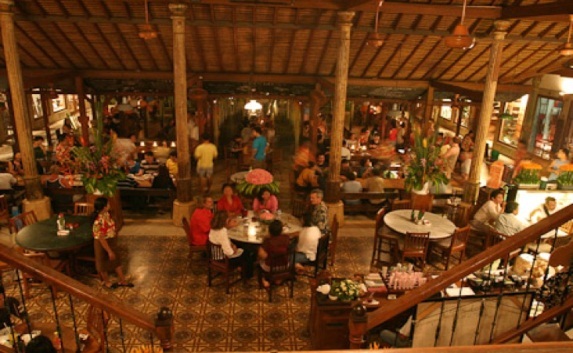 The traditional style of the restaurant presents a relaxed enjoyable mood. You are also offered a welcome drink of Arak the local spirit which can be quite strong however it is safe at this restaurant! 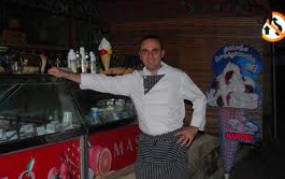 Great authentic Italian restaurant with a very tasty gelato stand out the front. Traditional Italian flavours at a good price covering all your favourite Italian dishes. Usually booked out due t the great price and food so reserve a table to make sure you do not miss out. 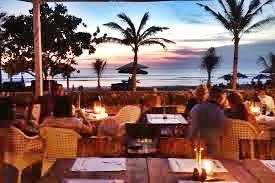 Perhaps one of the best restaurants in Bali this is a hidden gem of a place. Book ahead or you will not get a table. 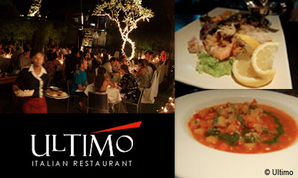 The restaurant is tastefully designed, the service is flawless and the food is a gastronomic sensation. 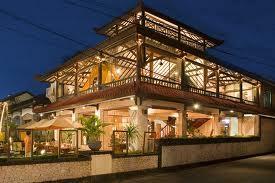 This restaurant has provided the best meal we have ever had in Bali. A visually stunning restaurant design with exotic fusion of the Javanese Joglo and the Balinese Wantilan combined with cuisine that incorporates Italian, French and Indonesian influences to perfection. salads, juices and cakes are the best selections on the menu here. 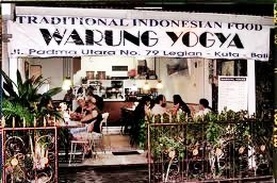 Very good quality warung serving great Indonesian food with real taste and flavour. 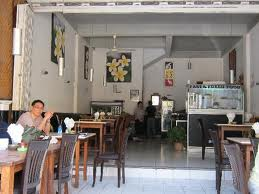 This is a well fitted out warung where the prices are good at the same time as providing a nice dining environment. On a side street off the main road, good place to experience Indonesian cuisine. 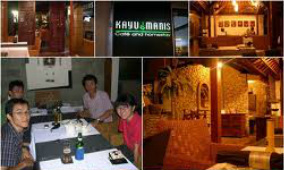 Friendly staff knowledgeable about the menu serving great quality Western and Indonesian foods. 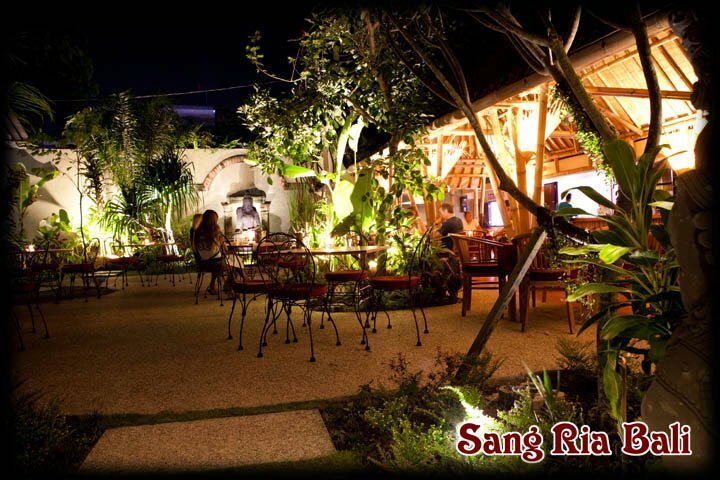 Indoor outdoor dining options in an ideal garden setting and live music regularly which adds to the mood. A great option for breakfast and lunch with good tea, coffee, cakes, sour breads and café style lunches. Small alfresco dining area and Air Conditioned indoor area also. Recommended the pavlova with a tea or coffee. Dining overlooks the pool in this open plan restaurant where fine food is on the menu. The freshest local ingredients and the world’s finest imported delicacies are combined with perfect wine pairings and Balinese dance and music performance is on selected nights. 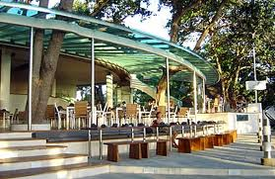 This restaurant offers both indoor and outdoor dining options with a high class design and fit out. 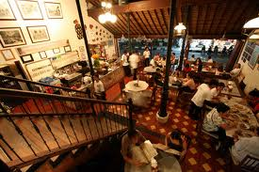 Dinner is recommended over lunch and the Indonesian, Dutch or French foods are prepared very well. High class Italian restaurant with exceptional pizza and pastas and an extensive wine list although a little pricey as is standard in Indonesia. 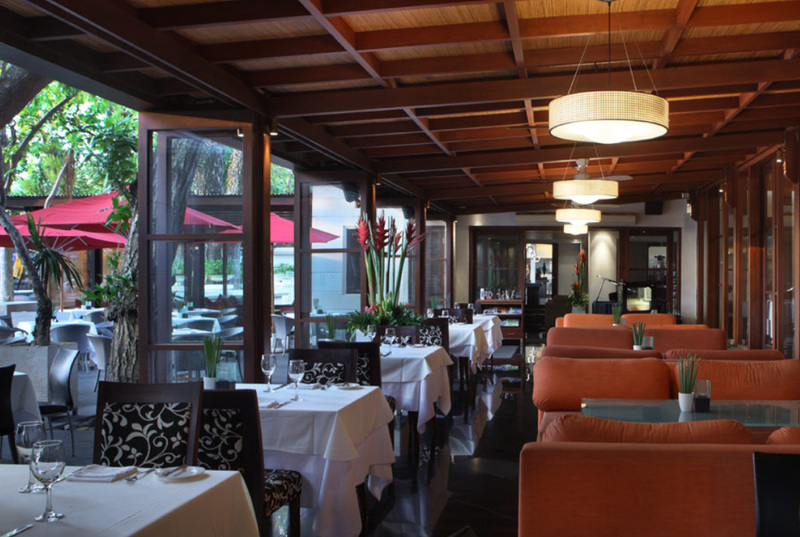 Staff are well trained and the restaurant has modern decor with lovely indoor and outdoor dining options. 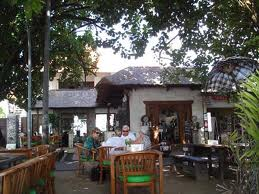 This great cafe serves a traditional café menu with great cakes, fresh beads and pastries all made on site. The coffee is also a very good sometimes a rare thing in Bali. 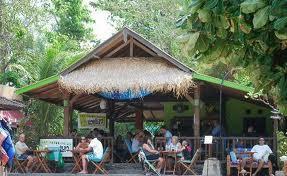 Located right on the beach this is an ideal location to relax and enjoy a small meal or something sweet. Great quality traditional Indonesian food at a very good price. 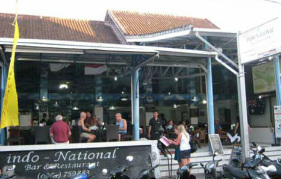 This warung is enjoyed by local Indonesians and holidaymakers alike. 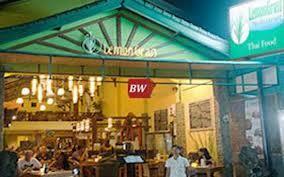 Basic Indonesian warung style restaurant to try the real Indonesian! A true Indonesian experience where the day markets are transformed into a food lover’s smorgasbord of numerous makan carts at night. 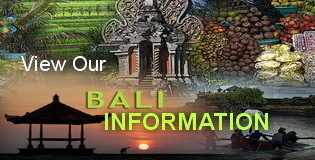 Unbelievably cheap try the local cuisine with locals and other holidaymakers and enjoy great food and the real Indonesia! Rates as the best traditional Maskan Padung in Bali by Indonesian’s and expats cheap by western standards but more than other padungs. Don’t be put off by the unique Indonesian style food where you select what you want to eat as it is hygienic. Try the beef rendang hmmmm we love this food!